Potty trained at 20 months old?? One of the first reactions I received was: "Pity her!" I do not blame anyone who thought so because I would think the same IF I did not know about Montessori philosophy and method. Some might think I 'force' my child to do something beyond her capability. Fret not, it was a natural, respectful and gentle way. 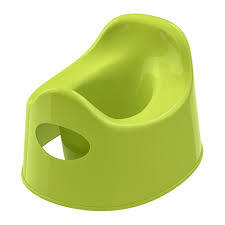 However, bear in mind, this is not for those who look for potty train in few days. Mine took few weeks. 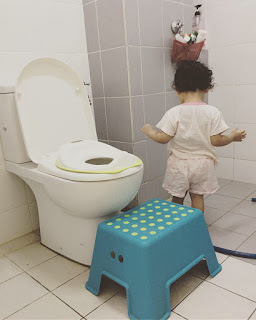 What made me start teaching K to use toilet? 💚Time - Time was on my side. There were currently no major changes in our life (e.g. new baby, overseas travel) and I also have plenty of time now (I'll be starting work soon). 💚Support & knowledge - To be able to be patient and prepared, one needs to understand how things work. So, you become more confident. I tried to read on Montessori toilet learning - they frequently use that term instead of potty training. One of the books I read was 'Stress-Free Potty Training' which I borrowed from National Library. 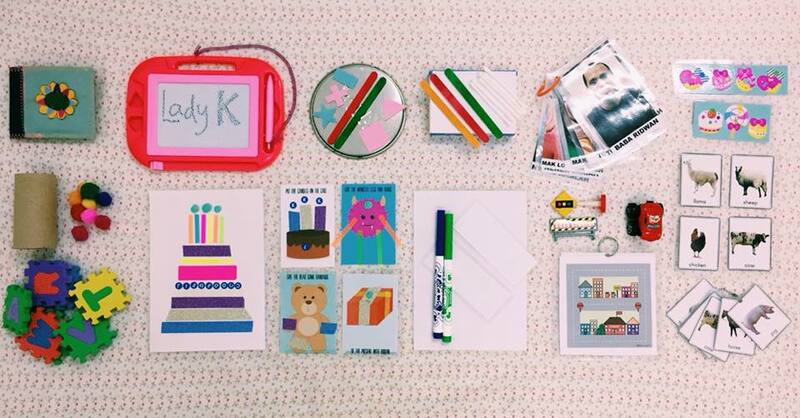 The books personalize approach according to the kid's personality. I will explain later. I mixed the tips from those readings to make up my own approach towards little K.
💚Signs of readiness - The key factor; Kawthar! It was through my observation on her that made me more confident. However, some kids may have different signs. - Is she sensitive to changes? Does she love achievements? There are 5 types of personality that are listed; Goal-directed, Sensory-directed, Internalizer, Impulsive and Strong-Willed. I did the questionnaire and found out Kawthar has moderate characters of goal-directed and internalizer. It was good to find out her personality through the test but if you don't read the book, its still ok..you can still try to read your child. In my case, I noticed that Kawthar is quite sensitive if I push her (Internalizer). She would say No to everything and give opposite reaction. This is why some famous tips like asking/inviting K to sit on toilet every 15 mins - did not work with K! Same goes with giving her lots of drinks (not a normal routine). She felt pressures from it. I invited her every 3-4 hours only. Example of sensory-directed child is kids who are bothered by label tags on their clothes. So, they might be particular and bothered when sitting on the potty/toilet seat. You can let her practice sitting on it many times before acting further. Sitting is also part of learning, worry not! - I bought 2 types; IKEA Lilla potty and IKEA Tossig Toilet seat. Tossig must be used with a stool and I chose IKEA Bolmen stool as it has a suitable height and is waterproof. At first, I thought Tossig was rather high for K to reach and Lilla would be a good option as its on the floor. But it turned out that K looked at Lilla more as a toy rather than a potty so she never pee/poop on it. Maybe it was due to its bright colour and lightweight. Having right equipments would make the child feel belong and confident to use. Right size and right height. 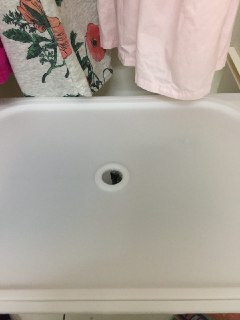 Tossig has small size of hole so K could sit rather comfortably compared to sitting directly on the regular toilet while Bolmen is sturdy, anti-slip (not moving at all) when Kawthar climbed on it. This setting allowed her to do things independently - climb and sit on her own or with minimal help from mommy. - Wajib! Keep positive mind throughout the process. Be extra patient. More calm. Montessori is about gentle parenting. You cannot scold a toddler who is learning a new skill and undergoing a major change in her routine. Accidents SHOULD happen and must be EXPECTED. Because through accidents, lessons are learnt. Do not make them feel guilty of mistakes. Toilet learning is a natural process just like learning other skills like walking. We cannot scold a toddler who's falling when learning to walk.. Despite that, its undoubtedly very tiring for parents to monitor closely. Honestly speaking, I felt like giving up few times Haha. So how did I prepare myself? 1) I told my husband about my plan and made it a point that WE are in this together. Alhamdulillah he was supportive and helpful. 2) Free up schedule. Less time for cooking and house chores for the 1st two weeks. It was either a simple meal or lunch box (I know my energy limit!). Most of the times, I watched K like a hawk's eyes, did cleaning and brought her to toilet. 3) Prepare a cleaning caddy for accidents use. Less panic! The caddy contains 3 washcloths, water spray, anti-bacterial spray and small pail. 4) No carpets and any absorbing fabrics on the floor. 5) Trial 😆 Before I actually started, I tried to practice the emergency (read:accident) drill and improved what was lacking. DO remember that every child has different pace and own timeline. What works for K may not work for your child. That's all for now. InsyaAllah will share more on this topic in next post. 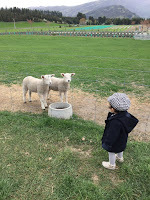 Ever since I had a look at Montessori, I have tried to set up spaces at home according to its principles. I find it compatible with my little family. This time around, its Kawthar's dressing area! At the age of 18 months old, she enjoys having her ways of doing things. "Let me do it myself!" I arranged it in the way that can help Kawthar dress herself up. That means the wardrobe is open, low and has easily pulled drawers. 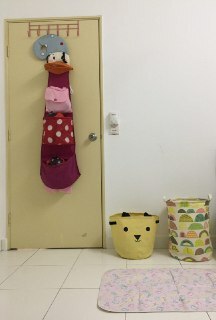 Small laundry basket that suits her height, changing mat on the floor that she can easily sit on are the arrangements I chose. 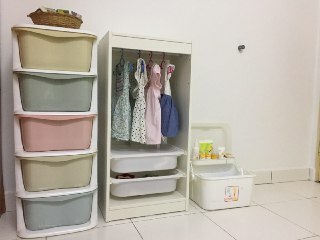 The first wardrobe is where I put all her clothes, bed sheets, towels and accessories. Its closed and for me to use. 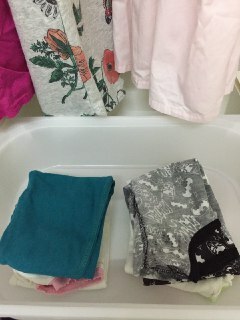 The second wardrobe is the one that Kawthar uses everyday. 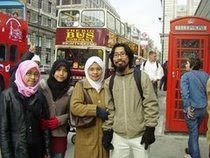 I would hang around 4 dresses (baju jalan) and put 2 daily clothes (baju rumah) and 2 pyjamas (baju tidur) in the drawers. Limited number of clothes allows her to choose easily. I don't think she understands now that she is making a choice but she'll get there. Maybe when she gets older, I'll put more choices. I reorganized this area for 2 months+ and I noticed that this arrangement allowed her to do things more independently. For example, putting dirty clothes into the laundry basket, picking her diaper, choosing her clothes of the day. She does this most of the times except when she's not in the mood. But that's totally fine. She does make a mess like taking out clothes from the laundry basket and drawers but not too often. Once a week is manageable on my part. Small basket for her. Big basket for extra dirty clothes. Sometimes you can just use what's available in the house to set up the space. As for me, I just added the second wardrobe. The rest is already in the house (some are gifts). See what works for you! Hope this helps. We are a family of 3 with a toddler. When I planned the itinerary and budget initially, I googled and read others' travelog and customized it to our need. So, why I defined it as baby-friendly? Less packed schedule. Kami tak target untuk kejar banyak tempat dan aktiviti dalam 9 hari. NZ is a big country and going from one place to another takes so much time and energy. This is suggested itinerary. We didn't get to cover everything that we plan but I hope it can give you a rough idea of how it is. 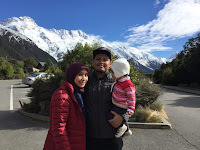 We spent 2 days in North Island, 7 days in South Island. 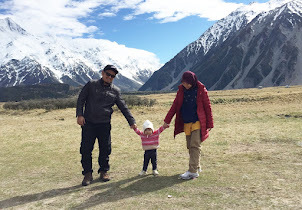 Tempat paling cantik pastinya South Island. - Walk along Wanaka Lake, "That Wanaka Tree"
- Arrive at Auckland airport. Pick up car. First oversea family trip, we made it! - Benda yang paling berguna sekali ialah baby carrier. Memang sang penyelamat di mana-mana. 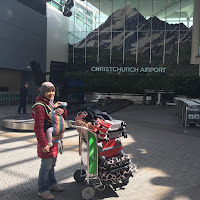 Bila di airport, bawa Kawthar dalam baby carrier je senang. Nak dukung guna tangan memang susahlah sebab bawa banyak beg. - Bawa stroller yang boleh lipat kecil dan ringan. Bukan besar gedabak. Jimat ruang dalam kereta sewa. 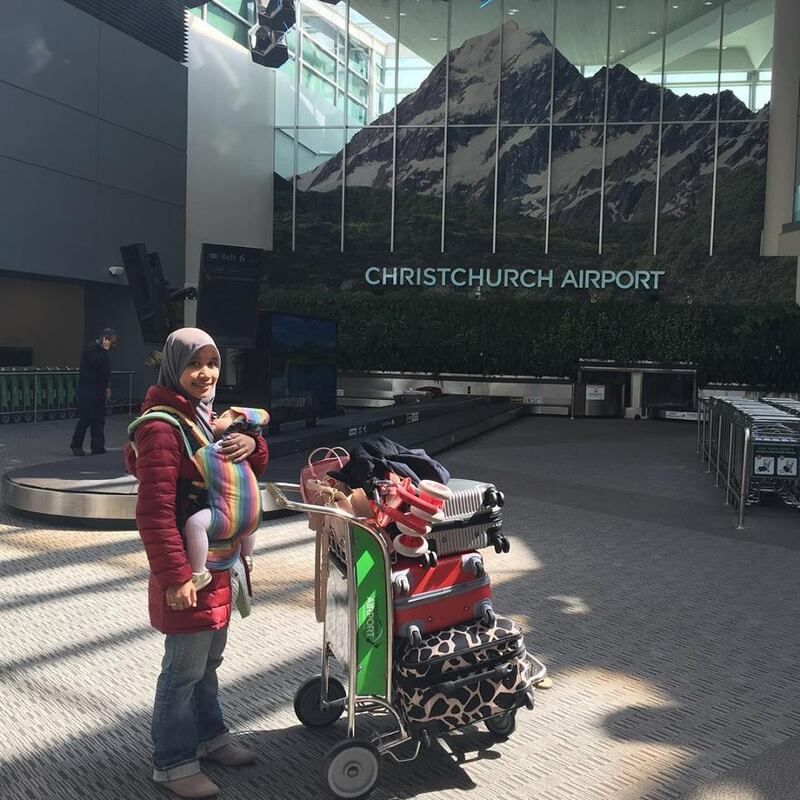 - Carseat wajib pakai di NZ. Boleh kena saman 150 NZD kalau tak pakai. Boleh pilih samada nak bawa sendiri punya atau sewa di sana. Lebih kurang Rm 30/sehari. Kalau sewa on-the-spot, Rm 135/sehari. Varies accordingly. 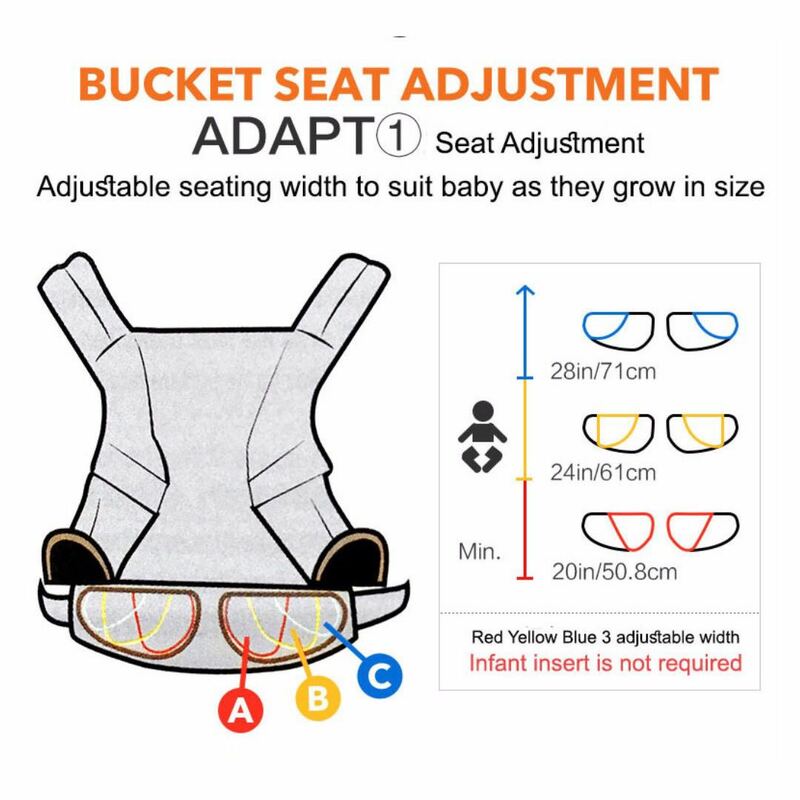 Kami bawa carseat sendiri. Gate check-in sekali dengan stroller. Percuma je. - Ketika kami di NZ, suhu masih lagi sejuk sampai ke tahap negatif darjah selsius. Waktu tu masih awal musim bunga. Mommy pilih baju dan seluar UNIQLO Heattech untuk pakaian lapisan dalam Kawthar. Baju ni bukan jenis inner biasa. Jenis simpan haba. Jadi, badan pun tak rasa sejuk sampai ke tulang! 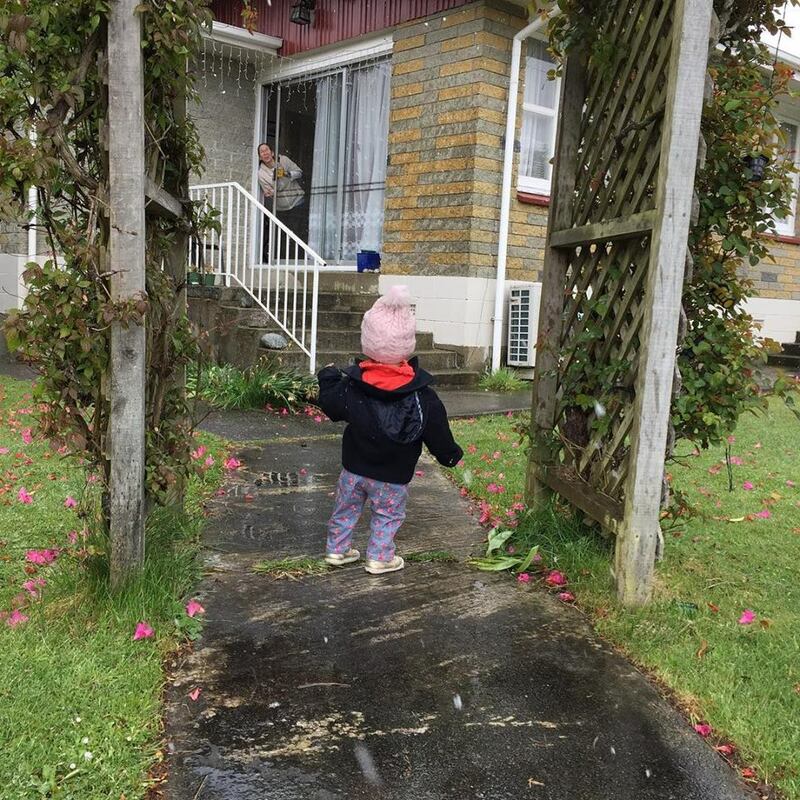 - Mommy siapkan untuk Kawthar 4 jenis baju yang berbeza ketebalan; jaket luar, jumper/sweater, baju biasa dan inner Heattech. - Cuaca yang sejuk dan kering seperti di NZ boleh menyebabkan kulit jadi sangat kering dan merekah sampai pedih. Kulit juga boleh jadi gatal-gatal sebab kering. 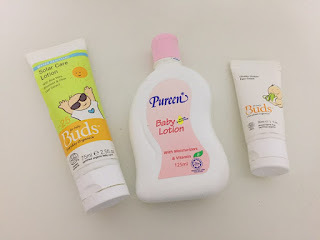 Jadi sebelum keluar, mommy akan sapu sunscreen di bahagian badan yang terdedah. Pelembap muka di muka dan losyen di seluruh badan Kawthar. Pastikan pakai yang jenis kanak2 punya, bukan orang dewasa. Yes, it did work! - The last thing you want during travel is falling sick. Even more the children! Lagi-lagi bila kita pergi negara yang berbeza cuaca dengan negara kita. Gotta pay more attention. 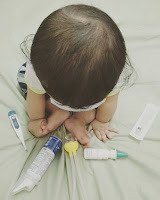 - Peralatan seperti termometer, penyedut hingus dan syringe wajib bawa. - Ubat demam, ubat tahan sakit, Sterimar (nasal irrigator) dan selsema. Just basic ones. - 12 hours flight is no joke for a toddler! They are busy humans, always need to move or do something. Mommy siapkan travel play kit yang ringan dan bawa 2 buku kesukaan Kawthar. - Kembara di NZ memerlukan kami duduk dalam kereta untuk tempoh masa yang lama. Jadi, play kit ni boleh main dalam kereta juga. Umpan untuk duduk elok2 dalam carseat 😅 Mommy seboleh mungkin tak nak bagi tablet atau handphone..jadi buat alternatif lain. - Tempat duduk AirAsia yang biasa tidak boleh recline, kecil dan mempunyai ruang kaki yang sempit. Budget airlines kan.. Untuk perjalanan yang singkat, mommy rasa ok lagi. Tapi untuk 12 jam, ia sangatlah tidak selesa untuk ibu/ayah pegang anak. Kelas pertama mahal sangat pula. - Jadi kami pilih Premium Flex Kelas Ekonomi. Mahal sikit tapi berbaloi. Ada basinet bayi (untuk 11kg ke bawah), kerusi boleh recline, dekat dengan toilet dan ruang kaki yang sangat luas. Kawthar siap main2 lagi kat lantai situ. Boleh jalan2 juga. - Kami pilih untuk menginap di AirBnb sepanjang 9 hari di sana (kecuali 1 malam di lodge). Caravan/Campervan agak kurang selesa untuk budak sekecil Kawthar kerana cuaca pada awal musim bunga masih sejuk (negatif di sesetengah tempat) dan tidur di dalam Campervan bukanlah pilihan yang sesuai. Walau bagaimana pun, campervan lagi jimat dari sudut kos. Hotel pula lagi mahal dari AirBnb. 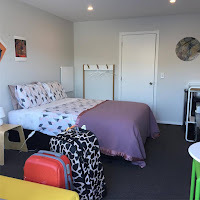 - Jenis AirBnb yang kami pilih adalah en-suite room. Ada private toilet. Boleh guna dapur (if possible). 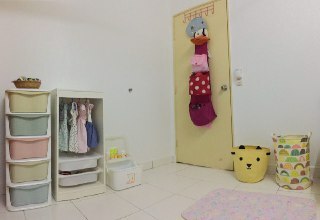 Periksa polisi AirBnb tu juga, pastikan ia terima budak berumur 0-2 tahun! Ada sesetengah tuan rumah tak suka budak bising nangis etc. Yes, for real. Not a scam hehe. Paling penting, banyakkan doa moga Allah beri kekuatan untuk kembara bersama si kecil =) Till then.